If you ever travel to Spokane in Eastern Washington, one of the attractions we recommend checking out is the Spokane Falls SkyRide. The SkyRide is a cable ride right over the Spokane River, including the famous Spokane Falls. It is located in Spokane Riverfront Park in downtown Spokane. The Spokane Falls SkyRide offers the best views of the Spokane River and we think it is well worth your time and money to check it out. The Spokane Falls SkyRide operates year round, though many say the best views are between March and June. Tim and I checked it out on a beautiful, sunny day in May and quickly realized why so many people recommended the SkyRide during that time frame. With warmer temperatures, and snow melting in the mountains, the water levels are high. On top of that, the water is moving extremely fast. This means the Spokane Falls looked spectacular and absolutely gorgeous. I couldn’t get enough of the scenery. Plus, you can really hear the sound of the water passing through on the SkyRide. A trip on the Spokane Falls SkyRide lasts about 20 minutes. You travel right by Spokane City Hall, and drop down 200 feet above the water falls. The gondolas move pretty fast but they do sway back and forth a little bit. If you are scared of heights or get nauseous, the Spokane Falls SkyRide might not be for you. Though, I did feel safe the entire ride. Eventually, the gondola loops around under a bridge and goes back toward Riverfront Park. 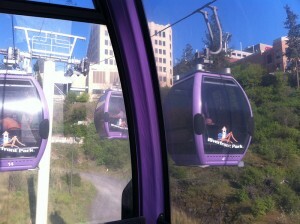 The Spokane Falls SkyRide gondolas. an’t even imagine what it would have been like if it was 80+ degrees outside, which is common during the Spokane summers). One piece of advice I’d have for a visit on the SkyRide during the summer is to bring a bottle of water (and if you check it out during the fall and winter, I’d suggest bundling up). I think prices are reasonable (especially compared to similar attractions in other cities). Adult tickets (18+) are $7.50 apiece, teen (13-17) and seniors (62+) and military (with ID) are $6.50 apiece and children (12 and under) are $4.00 apiece. Check out Spokane River Front Park’s website for more information on hours of operation. Another piece of advice: be sure to bring a camera on the Spokane Falls SkyRide. As I mentioned earlier, views are the best part and you will want to document the trip. 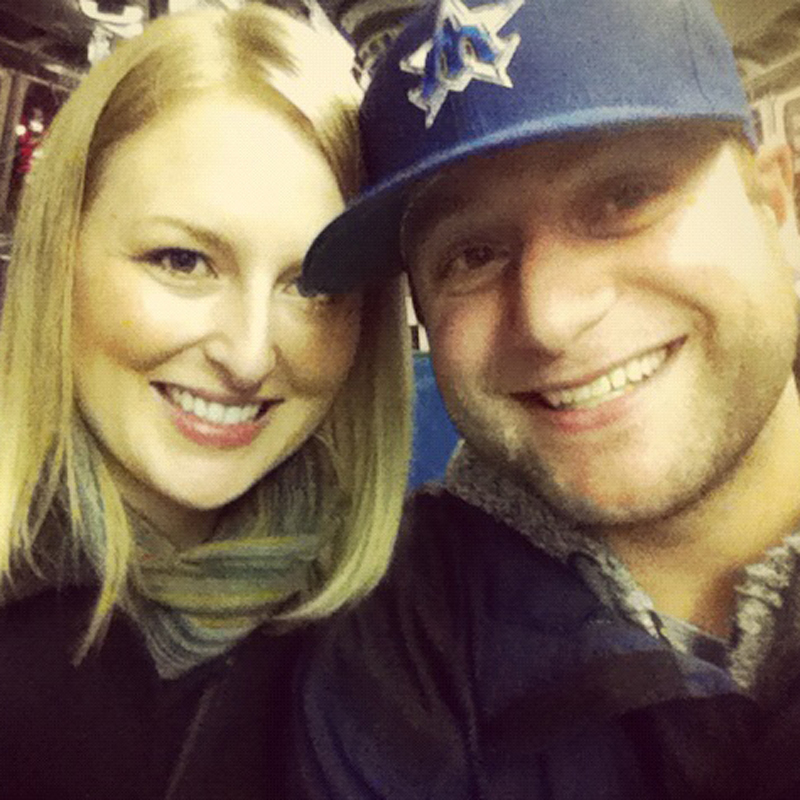 Even though it got hot inside the gondola, Tim and I really enjoyed the ride and had a ton of fun. We recommend not only tourists to check it out, but also the locals. 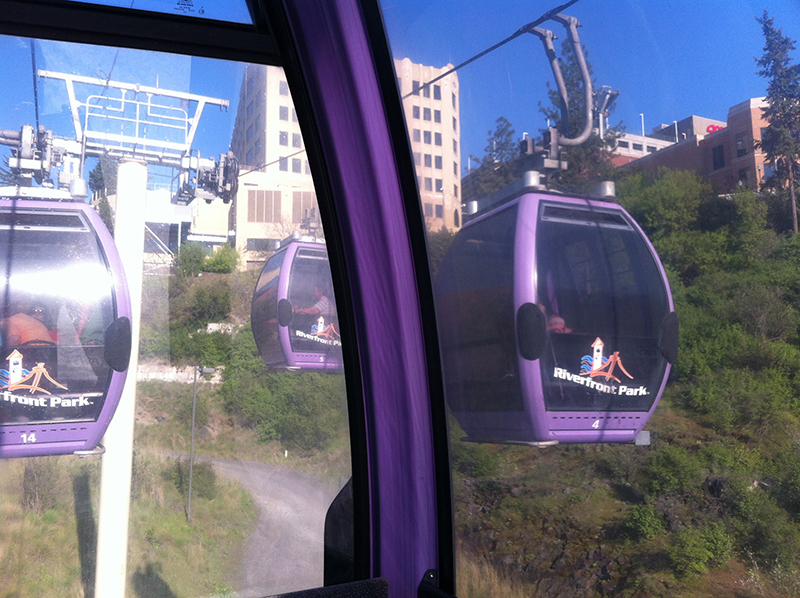 Have you ever checked out the Spokane Falls SkyRide? What did you think? We would love to hear from you! Please leave a comment below or connect with us on Twitter, Facebook and Google+. Don’t forget to also check out Seattle Bloggers for more fun things to do and see in all over the Northwest Region! There is no need to apologize, Graciela! We hope you have a great trip to Spokane. There is no need to purchase tickets in advance. You shouldn’t have any problem buying tickets when you’re there. Hey this was an informative article.. When did you guys take this ride? We are visiting Spokane this weekend. I am unable to find out is this ride is functional at the moment. Thanks, Mel. I just heard back from Riverfront Park. Unfortunately, the Spokane Falls SkyRide is not open this weekend. They’re hoping to have it up and running this summer.